Peninsula Youth Football & Cheer Two Teams : One Community. 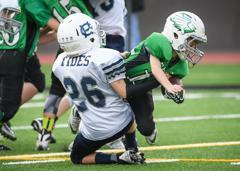 Gig Harbor Tides and Peninsula Seahawks. PYFC's core values are safety, teamwork and skills. 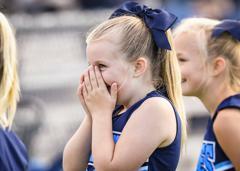 Safety is the number one priority, skills are taught in a fun and safe environment, and life-long friendships are built on trust through the love of football and cheer. 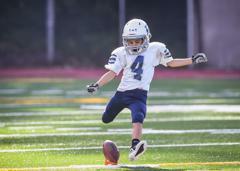 Coaches are trained in fundamentals of football and cheer safety and injury prevention. 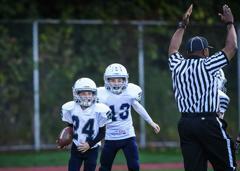 Young athletes are taught commitment while having fun and growing together through the bond of community and school pride. For 3rd through 8th grade athletes, PYFC is a parent-run non-profit organization serving Gig Harbor and Key Peninsula for more than 40 years. Choose the team below based on the high school your player will attend. Get your Spirit wear and more from our Adidas store. The first stores are open through May 1 for delivery before the Maritime Parade June 1. A second store will open later. 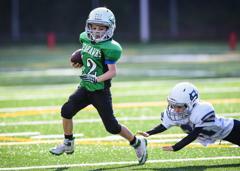 Interested in becoming a sponsor of Peninsula Youth Football & Cheer? 2019 sponsorship information coming soon! Want to participate in your local community? 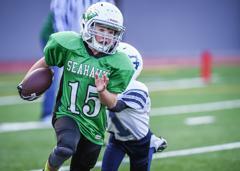 Become a sponsor for Peninsula Youth Football & Cheer and support youth in your area. 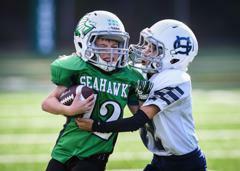 ©2019 Peninsula Youth Football & Cheer / SportsEngine. All Rights Reserved.